Christian, Scholar, Athlete, Leader, Patriot, War Hero. Ronny Beaman, a member of the 1959 graduating class at North High, was much more than an outstanding scholar/athlete. In addition to being the center on the football team, he was also the catcher on the baseball team and still found time to serve as the student body Vice-President. After playing baseball at Bakersfield College, he then went on to play at Pepperdine University, becoming one of the first North High athletes to play Division-I College baseball. And all this at an imposing 5’9” and 170 pounds. In 1964 Ronny was drafted into the Army during the Vietnam war. Later he would become a Green Beret and Captain in the 5th Division Special Forces. He was also an Infantry Unit Commander and an Airborne Ranger Paratrooper. He lost his life on June 27, 1969 while retrieving an Australian officer’s body that had been killed near him. As a result of his heroic acts, Beaman was awarded multiple medals and citations. Among them the Purple Heart, 3 Bronze Star Medals, a Silver Star, the Air Medal, the Good Conduct Medal, the Gallantry Cross and Presidential Unit Citation. In addition, he was honored by the Vietnamese Government with the National Order of Vietnam, the US equivalent of our National Medal of Honor. In May of 2011, North High honored Ronny with a plaque on the varsity baseball field bleachers, listing his accomplishments. In addition there is now a Ronny Beaman Memorial Scholarship Fund, with proceeds benefitting a deserving North High student. 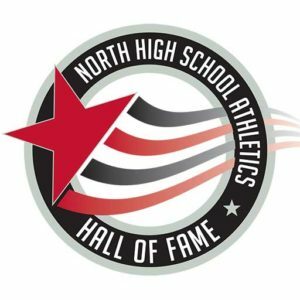 The North High Athletics Hall of Fame is so proud to honor one of its favorite sons, Ronny Beaman.